I'll have to thank Jane for introducing me to this recipe and Susan at Savory Spice Shop for sharing with me both the recipe and the ghost pepper salt needed to make it happen. A lot of the language in this post will be coming from the specific instructions listed in the recipe. Anyway, I had fun with it considering it was a form of bread that I got to make. It was surprisingly fairly easy once you let the ingredients do their thing. The Guinness in this did make the dough a bit sweet which some of my "test subjects" commented on. It's up to you how you want to season it but for the purposes of following this recipe and using the coveted ghost pepper salt (the shop's own blend), mine came out salty and spicy. 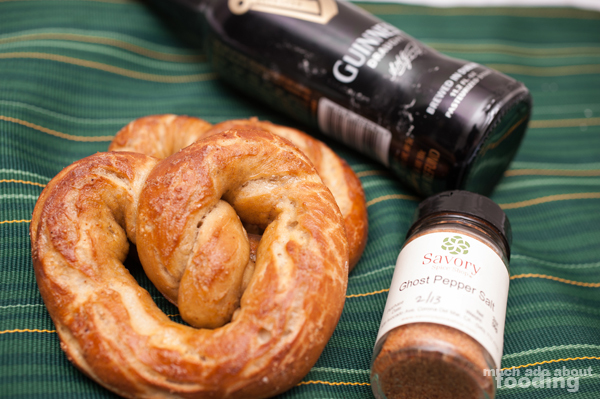 Give it a whirl yourself - especially with St. Patty's Day coming up! Pour 1/2 cup of cold water into your mixing bowl (if you're using a stand mixer, use that bowl). Add yeast and let rest for 3-5 minutes as it foams. Then stir in brown sugar, salt, olive oil, and vanilla extract. 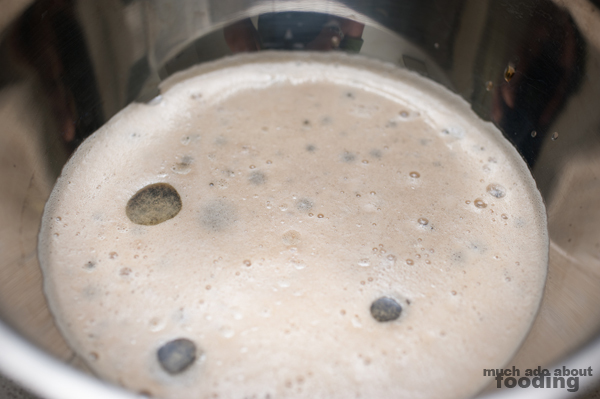 After mixing slightly, pour in your stout of choice to let the yeast react. Once all of the bubbling ceases, add 1 cup of flour and, using a hook attachment, slowly knead in the flour (I didn't have a hook attachment so I worked with my hands). 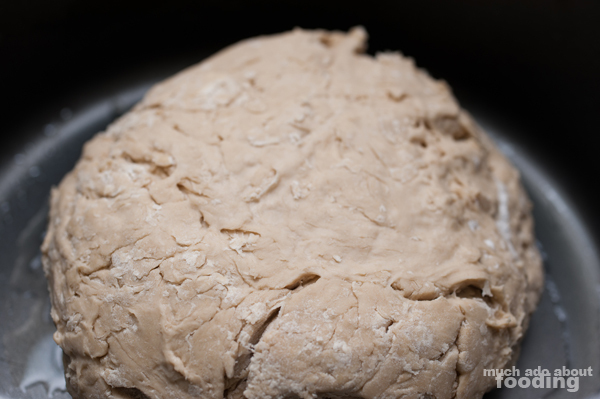 Add one cup of flour at a time until a smooth ball of dough forms. Transfer dough into a lightly oiled bowl; cover with a towel and sit in a warm area of the room. The dough will rise and be ready to work with once it has doubled in size (approximately one hour's time). Preheat oven to 425°F. Divide your dough into 12 balls - roll each into 1/2" thick ropes. 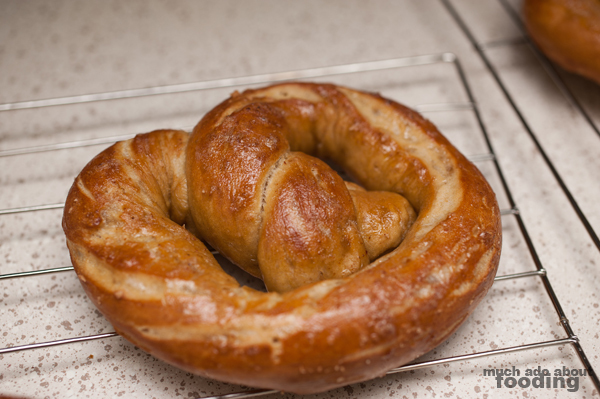 Form in classic pretzel shape by first forming a U and then crossing over the ends. In a large saucepan, add 4 cups of water and the baking soda. 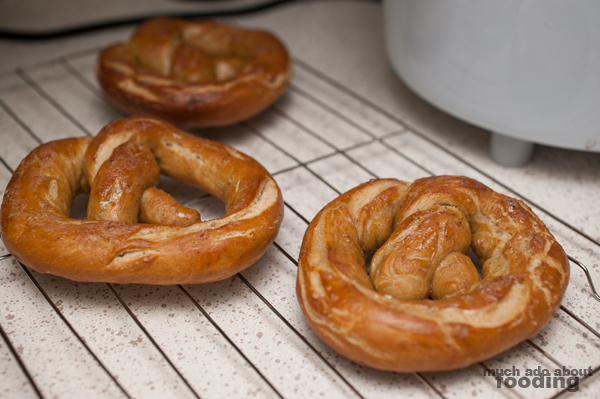 Once the water is boiling, add each pretzel to boil for about 30 seconds, one by one. 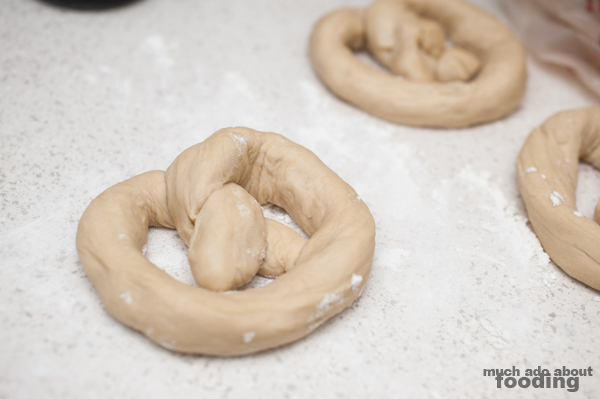 The baking soda will let the pretzel crisp correctly in the oven! 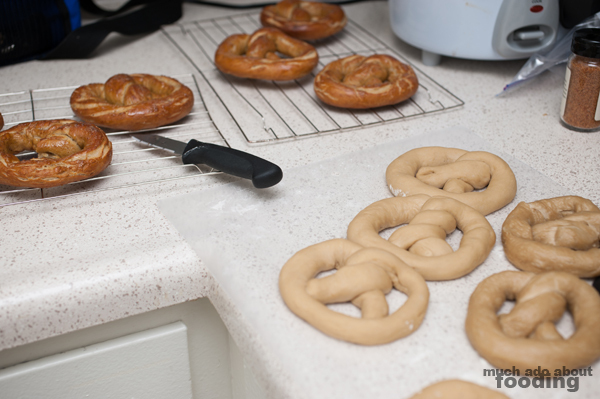 The easiest way to remove each pretzel will be with a slotted spoon - lay on greased baking sheets. Brush each pretzel with the beaten egg before sprinkling with ghost pepper salt. Place into the oven and let bake between 15-18 minutes. You'll see the golden brown color when it's ready. Towards the end of the allotted time, make sure to have your butter ready. While the recipe calls for melted butter, I found it easy to just let the pretzels' heat do the work as I brushed on slabs. So move the pretzels to cooling racks and brush each with butter. They are best served warm! 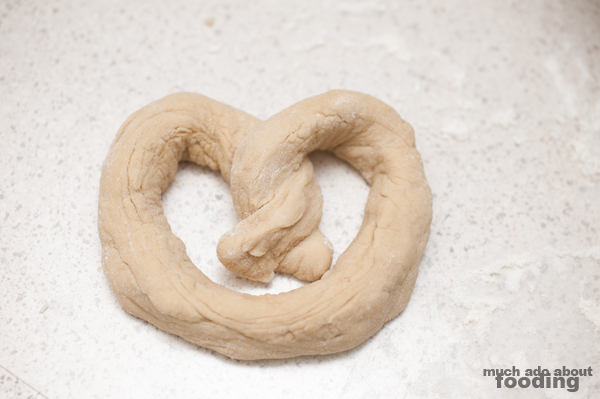 By the next day, the dough gets a bit tough; it's a pretzel after all. Thank you again to Savory Spice Shop for the recipe and seasoning!